Create frameworks that embed your development process into Innovator, enabling you to quality assure project execution, maximize productivity, reduce risks. and shorten time to market. risks. and shorten time to market. The list view allows you to see as many, or as few, projects as required. Sort according to portfolio, project type, priority or any of the other parameters that are deemed important to your organization. 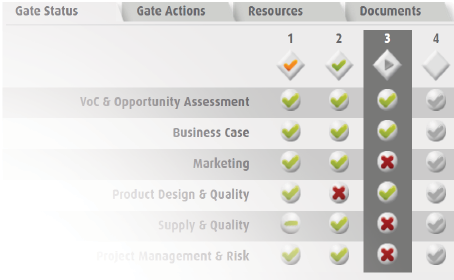 The gate manager tool allows you to build in as many gate models as you need for your different project types. 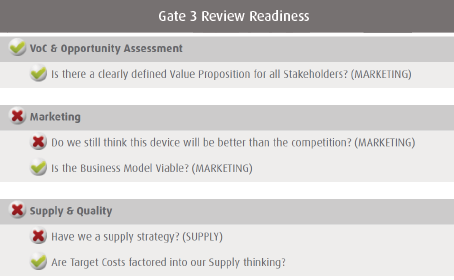 Define your Gates with pre-set deliverables and criteria and organize these by function or workstream. Our Agile development tool allows project managers to execute as many agile cycles as they need in order to reach the next project stage. Agile cycles have hypotheses, test plans and results, to keep the planning disciplined and organized. 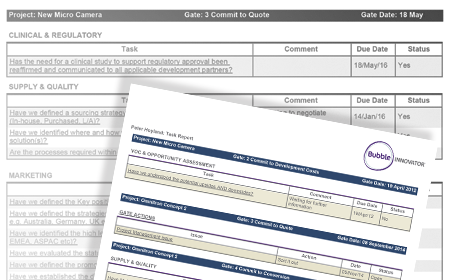 Gate approvals are based on a management judgement of the project status, but this is supported by total clarity of the status of every gate deliverable and criteria. True fact based decision making. 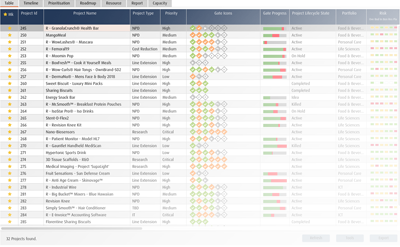 Each user can see and sort a list of personal tasks according to the projects, departments or portfolios they work with. Upcoming activities can be shared and even re-assigned with ease, and completed activities get rolled up to the system level. Innovator™ can provide tightly controlled access to 3rd party collaborators and extended development teams, ensuring they are fully contributing to relevant projects but not given inappropriate access to confidential information. 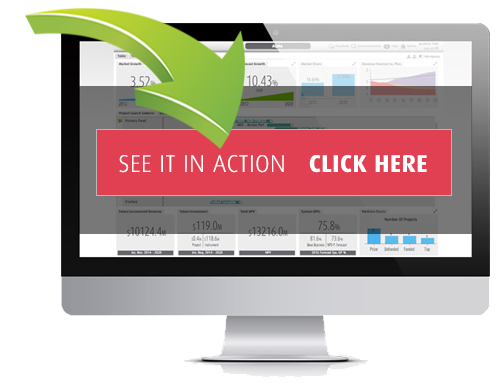 With a single click, Innovator™ can upload your financial business case and track any changes over the project lifecycle. 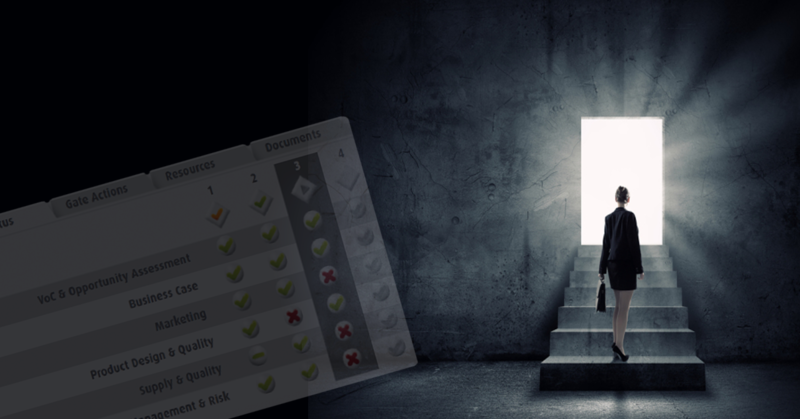 There is no duplicate data entry and no restrictions on the levels of detail. 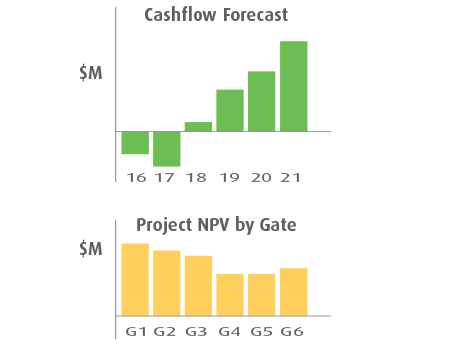 The Project financial modelling can range from a simple table of a few KPIs to a comprehensive, multi region, multi currency, P&L and cashflow forecast. Send Project-on-a-Pagesm summaries, either for an individual project or for any portfolio. 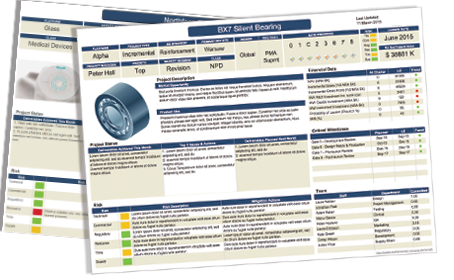 Use these to rapidly review status during monthly updates. 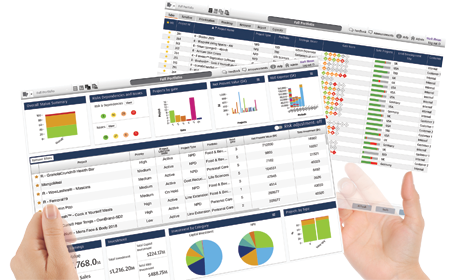 These project updates are always live and always available, so senior management can obtain a presentable report any time of day or night, without adding to the workload of the team. Want to improve your Gate Process?